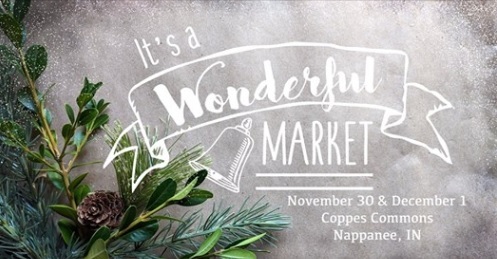 Nappanee, IN – Coppes Commons (401 E. Market Street, Nappanee) is, once again, hosting several free events to celebrate the Christmas season on November 30 and December 1, 2018. “A Coppes Christmas” will kick off with an Open House on Friday evening, from 5:00 – 9:00 p.m. In-store specials will be offered throughout the restored 19th c. furniture factory, which now houses a collection of gift shops, an antique mall and eateries. Visitors can enjoy live music by classical guitarist, Jeremy Whetstone and friends and free refreshments in the Mill Room from 5:00 – 9:00 p.m. Don’t forget to enter to win one of several Coppes Commons gift certificates totaling $250 (must be present to win at 9:00 p.m.). Travel back in time to the holy city of Bethlehem through an interactive nativity walk from 5:00 – 8:30 p.m. on Friday. Live animals and actors will bring to life various scenes surrounding the birth of Christ. 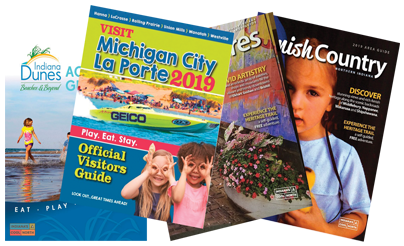 Handicap-accessible tours will be free and last approximately thirty minutes. Make sure your visit to Coppes Commons includes a trip upstairs to “It’s a Wonderful Market” on Friday from 5:00 – 9:00 p.m. and Saturday from 10:00 a.m. – 4:00 p.m. Dozens of the area’s finest artists and crafters will offer their wares at this artisan market in the Upper Room event center. Shop for jewelry, vintage items, framed art, home décor, baby gifts, handmade soap, mittens, woodworking and much more! A hot drink bar, a DIY floral arrangement bar (Saturday 1 – 4 pm) and giveaways will also be offered.